The BG448 has a removable platen and work table that allows for slack belt grinding or platen grinding. The BG448 offers; quick belt change, versatile platen, contact wheel and adjustable work rest. 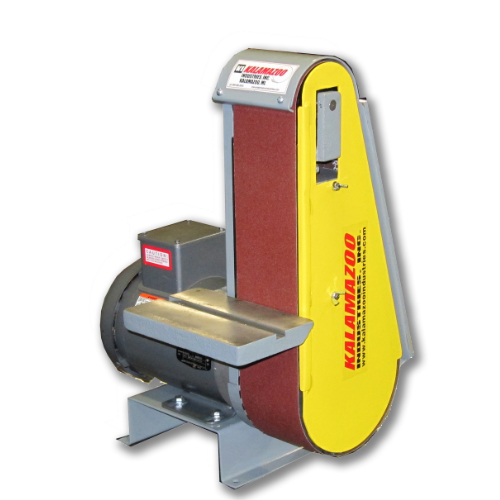 The BG448 belt grinder is great for aggressive grinding, beveling, deburring, descaling, polishing, finishing and tool sharpening. The BG448 has a work space of W 4″ x H 10″. 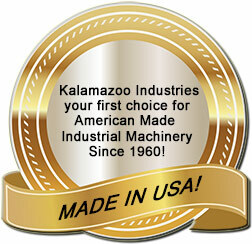 Kalamazoo Industries Inc., BG448 4 x 48 industrial abrasive belt grinder has a multi-position head that goes vertical/horizontal and any position in between. The access point are two holes located on the hub of the contact wheel. All you need to do is place your Allen Wrench into the hole loosen the socket head caps screws slightly, tilt to desired position and then re-secure. Multi-position belt grinder from vertical to horizontal. 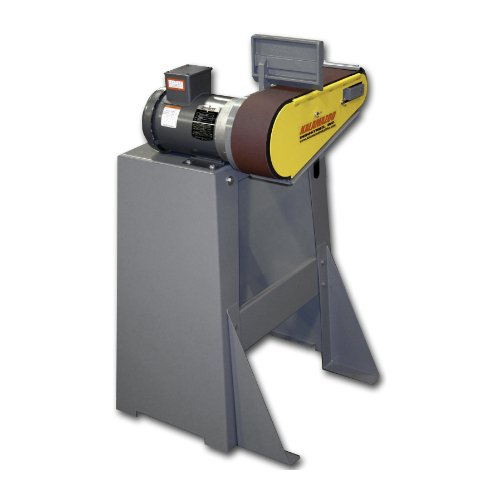 4″ x 48″ belt grinder. 3HP 1PH TEFC motor, 110 or 220V (specify at time of order) and or 3PH 220v or 440V (specify voltage at time of order) 7200 SFPM. Over all dimensions: L 14″ x W 18″ x H 26″. Platen work surface: W 4″ x H 10″. 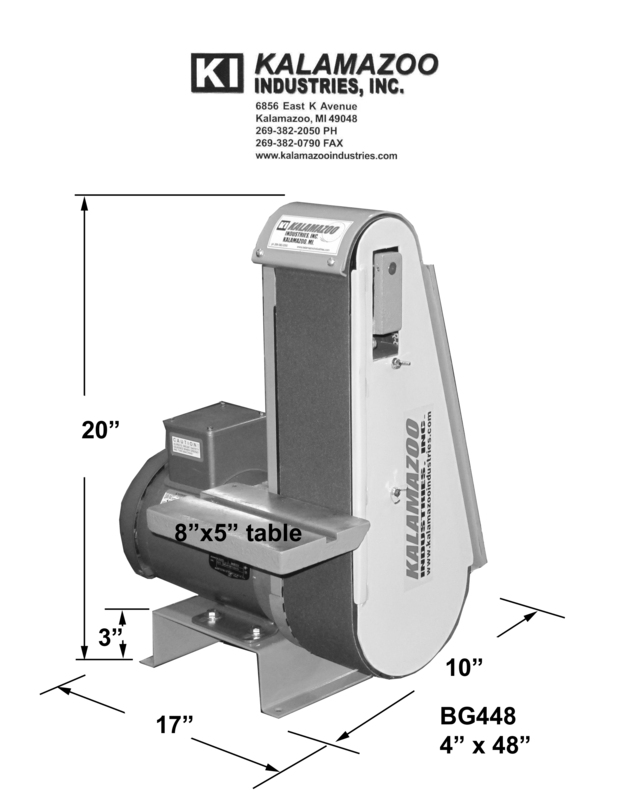 Contact wheel work surface: 8″ x 4″. 70 duro serrated contact wheel. Full work movement from left to right. Removable platen and work table.